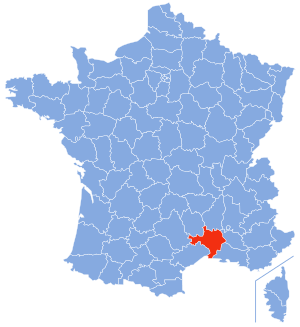 Gard is a department in the south of France in the Occitanie region. Its prefecture is Nîmes and about 665,000 people live there (2006 estimation). It is one of the 83 original French departments created during the French revolution. Gard Facts for Kids. Kiddle Encyclopedia.